Not Giving a Crap #inmyactivewear | Have kids, they said. It'll be fun, they said. Recently there was a hilarious parody video that went viral on social media, called Activewear (view it here). If you’ve not seen it, you should. It’s freakin funny. But, since that video has come out, there has been a shift in attitudes towards women wearing so-called “activewear”. Or, perhaps the attitude was always there and I just didn’t notice? I go to the supermarket in my active wear. 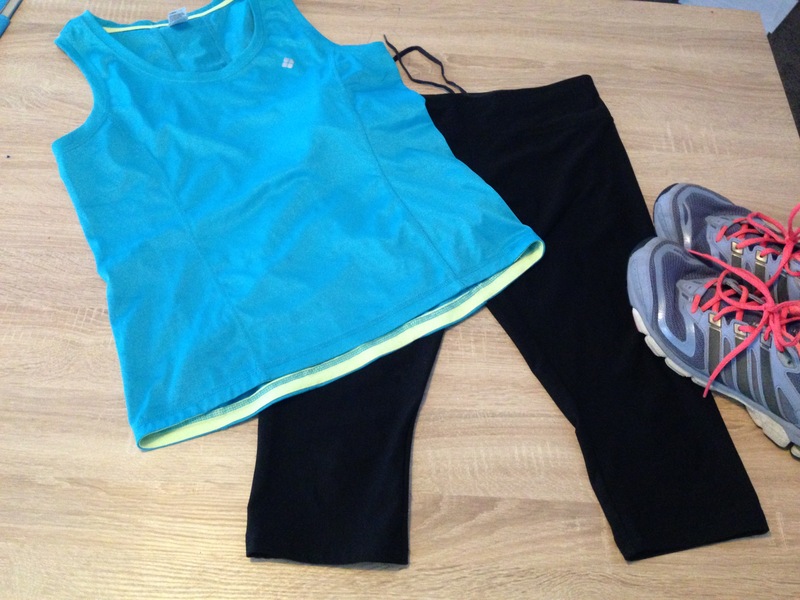 I do school drop-offs and pick-ups in my active wear. I go shopping in my active wear. I grab a coffee in my active wear. I put petrol in my car in my active wear. Strangely, I also go to the gym in my active wear. You see, I am busy. I cart a relatively (read:incredibly) independent-minded and determined two-and-a-half-year-old with me where ever I go. I also go to the gym. Now, I’m not a small person by any stretch of the imagination, but since moving down here I decided to fill my time by going to the gym every day, and I love it. It is my only “me” time. I have lost body fat, I have increased my body muscle mass, I have lost weight – and, most importantly, I have gained body confidence. It didn’t even occur to me that people might look sideways at me popping into the supermarket after the gym, still wearing the clothes I just did a workout in. Hell, I went to the gym for a month before I even realised there were change facilities there! And, despite that new found (and, I realise in hindsight, pretty important) information, I often don’t get changed at the gym anyway. Have you ever tried getting changed with a two year old around? Furthermore, by the time I drag BabyGirl out of her creche, go through the not one, but two button operated doors at the gym, toddle to the car stopping every few steps to look at a rock, or a “boooootiful fwower”, get into the car, let her close her door, then wait another, oh, ten minutes for her to sit in her seat so I can buckle her in, I no longer have that attractive, red-faced, hideous post-gym glow that I get after a workout. So, once I finally make it to the supermarket, or the petrol station, or, heaven forbid, the coffee shop, I look pleasantly refreshed. My point being, I don’t look like I’ve been to the gym. Recently in our local paper’s “whinge” section, someone wrote a scathing letting about “fat, unfit, hideous women doing school drop offs and going to the shop in their activewear” and I found myself getting really, really upset. Who are they to decide whether these women (god, they could be talking about me, for all I know) haven’t either just been to the gym, or are going? And even if they aren’t, who gives a crap? Maybe these women walked there. Maybe they just like their comfy pants. “Tidy yourself up”, it said. “Buy a nice pair of jeans”. Find me a nice pair of jeans, a comfortable pair of jeans, that won’t require me to sell my first born child in order to afford them, and I will get them. I dare you. Suddenly I found myself to be self conscious. I started to allow extra time at the gym so I could rush into the change rooms and get changed before collecting BabyGirl (thus cutting back on workout time). I suddenly became very aware of what I was wearing. And then I woke up and thought, you know what? I. Don’t. Give. A. Crap. If I want to go out and wear my cropped pants, my sports bra, my singlet top, my hoodie and my running shoes, I’m damn well going to. Because in what world do we live, where women (or anyone) have lost the right to wear what we choose? It’s not indecent. It’s not offensive. And, most importantly, it’s COMFORTABLE and it makes me feel good. It reminds me of the hard work I put in every freakin morning at the gym. Work that I am proud of. I understand the parody video, I thought it was hilarious, but lets not carry it over into our everyday world. Ladies. If you want to go shopping in your activewear, do it. If you want to pick up your kids in your active wear, do it. Instead of attacking women who wear these workout clothes, lets applaud them, for giving exercise a go. Even if it is just to walk to the letterbox, it’s still lapping all those people on the couch. I know what I’m asking Santa for at Christmas.